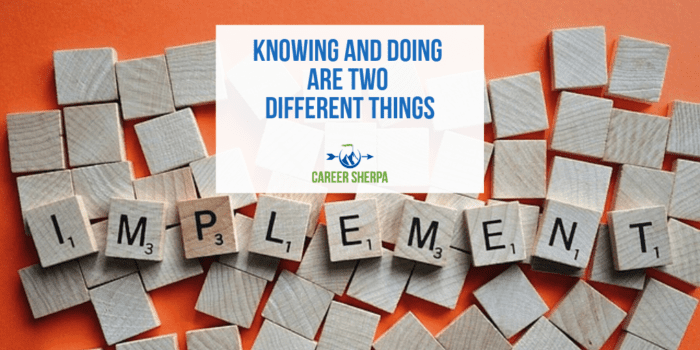 To know something and to do something are not the same. Too often, I see job seekers take shortcuts or avoid doing things they don’t want to do. Job search is hard work. You know what you need to do to find a new job. But sometimes you don’t do everything you need to do. Job search requires doing things you don’t want to do or don’t know how to do. Sometimes, but not often, you get lazy or try to take shortcuts. And when you don’t do the right things it hurts your job search in the long run. I truly believe that 90% of job search is having the right mental outlook. Sometimes you have to trick yourself into doing things. Sometimes you just need a reminder. 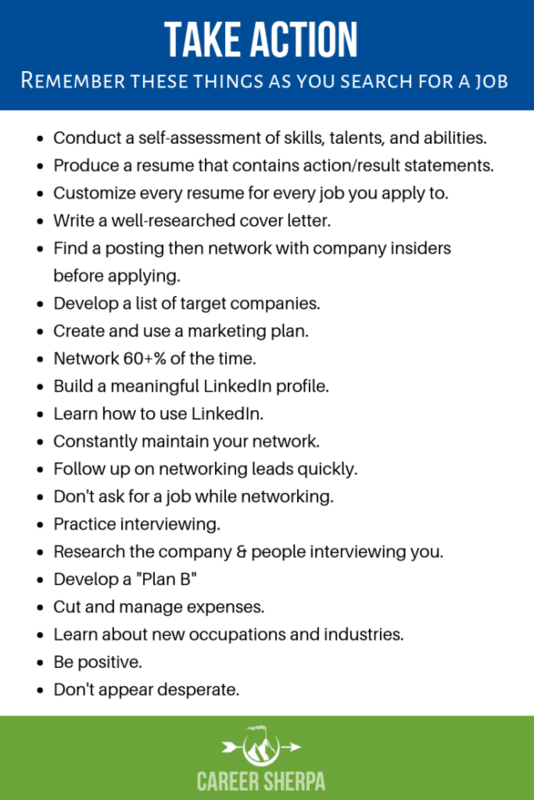 So I put together this list of things most job seekers know (or should know) but don’t put into action (unless really pushed). Conduct a self-assessment of skills, talents, and abilities. Produce a resume that contains action/result statements. Customize every resume for every job you apply to. Write a well-researched cover letter. Find a job posting then network with company insiders before you apply. Develop a list of target companies. Create and USE a marketing plan. Network 60+% of the time. Build a meaningful LinkedIn profile. Learn how to use LinkedIn. Follow up on networking leads quickly. Don’t ask for a job while networking. Research the company and people you’ll be interviewing with. Learn about new occupations and industries. Sure, you know all this…but do you ALWAYS follow these guidelines? Embrace them, master them. You will be more successful than most job seekers if you actually DO these things. Remember, your search for a new job will take longer than you want. Pace yourself, it’s a marathon, not a sprint. And please, find someone to hold you accountable to do the right things for your job search.